Clear colour. Red berry aromas ( strawberries, redcurrants). The "terroir" special minerality is well to be fore. VINTAGE 2017: Medium deep rosé with a bright hue. Pure nose with floral notes, red fruit, ripe citrus and mild spices. Good grip on the palate, fine extract, soft red fruit with citrus, a rounded creamy texture, finely spicy and rather long finish. 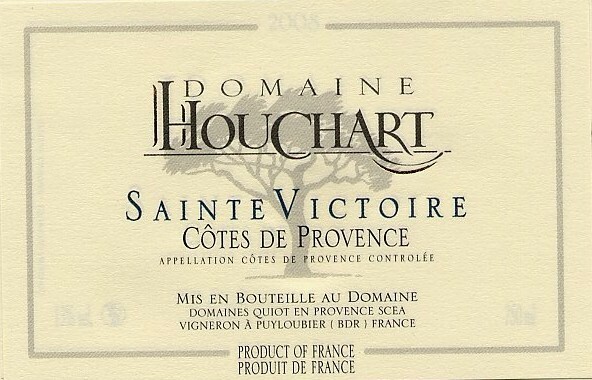 This rich wine comes from the sheltered vineyards close to Mount Sainte-Victoire. The weight of the ripe fruit gives a full-bodied style with both acidity and a spicy, peppery character. This is a wine to hold for a few months and drink from late 2017. Vintage 2016 - The nose is fruity, gourmand, aromatic and offers a slight intensity. It reveals notes of redcurrant candy and fleshy/fresh Gariguette strawberry associated with slight hints of fleshy blackberry and small touches of white fruits. The palate is fruity, well-balanced, slightly «perlant» (slightly sparkling characteristic) in the attack and offers a beautiful minerality, a beautiful fat, a beautiful roundness as well as a slight acid frame. In the mouth this wine expresses notes of redcurrant candy and fleshy strawberry associated with small touches of green lemon zests, ripe citrus as well as a small touch of cassis. Good length.